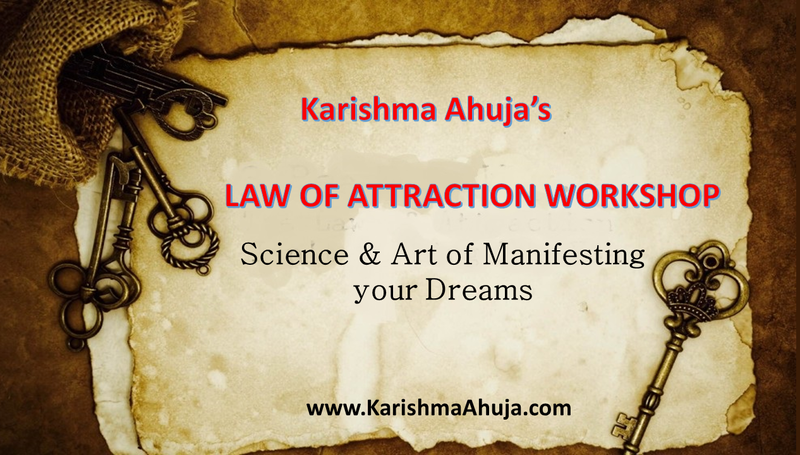 Dr. Karishma Ahuja : Law of Attraction Workshop - This Training on your #Mind, Energy, Vibration and #Attraction will give you everything you are looking for! Law of Attraction Workshop - This Training on your #Mind, Energy, Vibration and #Attraction will give you everything you are looking for! In simple words, whatever you Think and Feel becomes a Reality. We don't just Participate in what we experience but rather we are fully Responsible for what shows up in our life and we do so with the Thoughts we Think and the Vibrations we emit. Therefore, when we start becoming Conscious of What we put out into the World and start learning the art of raising our Vibration we will be able to manifest our dreams and Attract what we want! • To Understand what’s really happening in your life and why it’s happening. • To become self empowered and shift your perspective to create positive changes. • To raise your wealth consciousness to boost your Career and Attract Prosperity. • Law of Attraction for Attracting your Soulmate.